Congratulations! You found the new or used Toyota that makes sense for your lifestyle and budget. If you’re ready to sign on the dotted line, hurry into Toyota of DeKalb! Our Toyota dealership near Aurora, IL, makes it easy to lease or finance a Toyota. We offer personalized Toyota car loans and flexible Toyota lease terms, so you can apply for an auto loan with confidence. Our Illinois Toyota finance center works with Fox Valley drivers with all types of credit because we want to see you get the competitive Toyota financing rates you deserve. The Toyota of DeKalb finance team can help you understand the benefits of buying vs. leasing a Toyota, and we can help you save with our Toyota military rebate and Toyota college grad rebate. Our Toyota lease specials and Toyota finance offers will help you save, as will our new Toyota incentives. 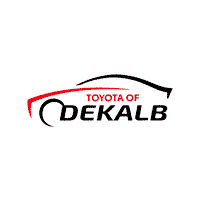 Get pre-approved forToyota financing and lease or finance a Toyota at Toyota of DeKalb today!